I could probably say that my ramen addiction started when I lived in Singapore for a short 3 years. There are so many ramen noodle joints in Singapore (I’m sure it’s even more now than 7 years ago!). As you’ve heard or read before that our family is a noodle addict! They kids will choose noodles over rice. 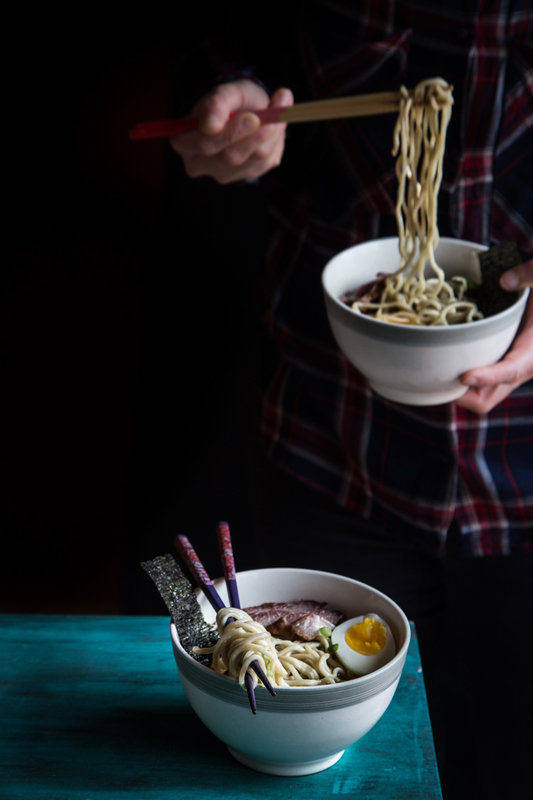 They especially love the chewy springy noodles (like good ramen noodles have!). Who wouldn’t ? 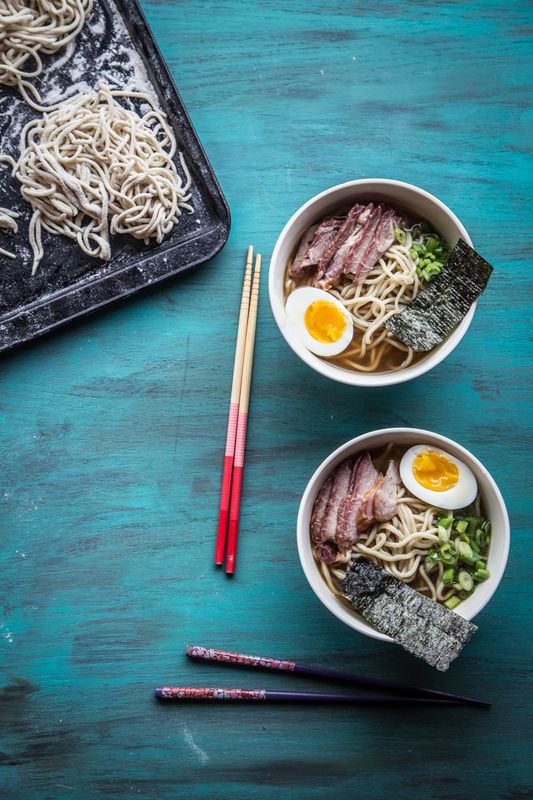 I know this “I could eat ramen noodles every day” is probably a hyperbolic statement one can make and I probably wouldn’t eat it everyday anyway, but just to kinda give you an idea how much I love ramen noodles. 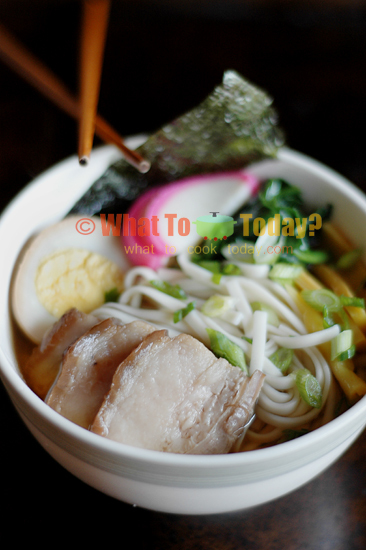 Shoyu ramen is another one of my favorite Japanese ramen noodles. 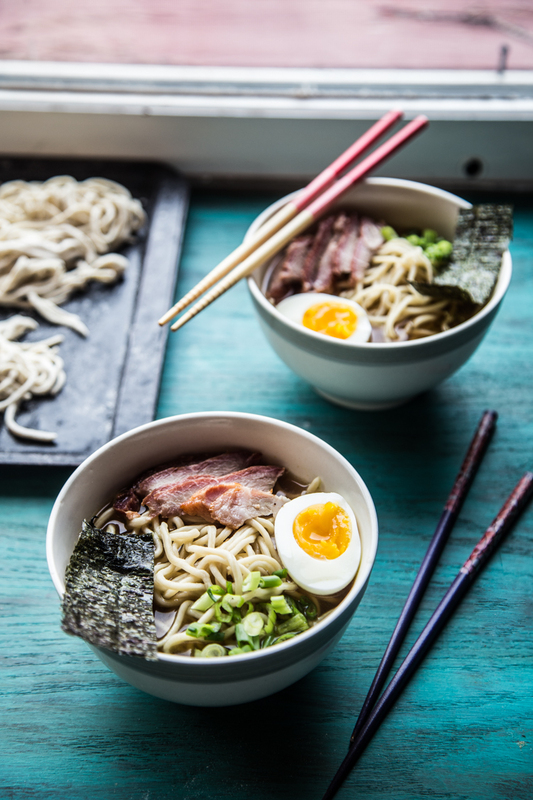 Shoyu ramen is prepared using the chicken stock and shoyu base, which equal to shoyu broth. 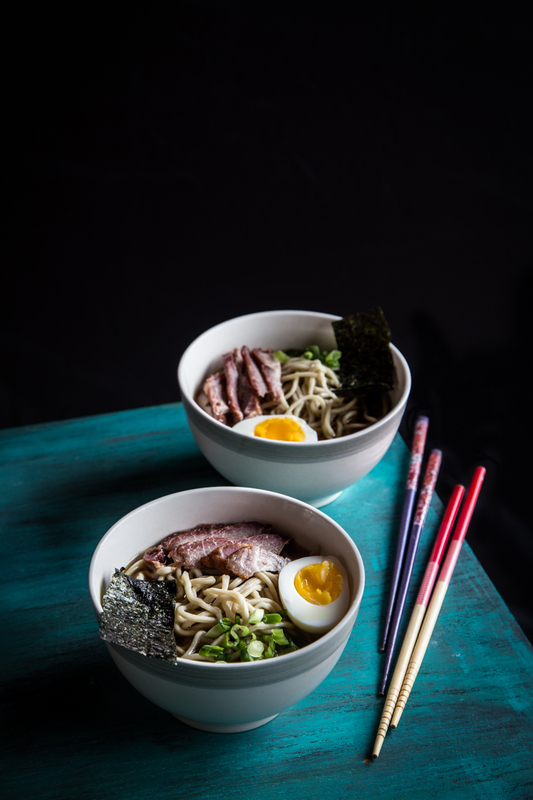 When I ordered the ramen noodles at Ramen Nakamura (the little shop I talked about when I did the Shio Ramen’s post)in Honolulu, I can either order my ramen with shio broth or shoyu broth. The shoyu broth often costs a little more. 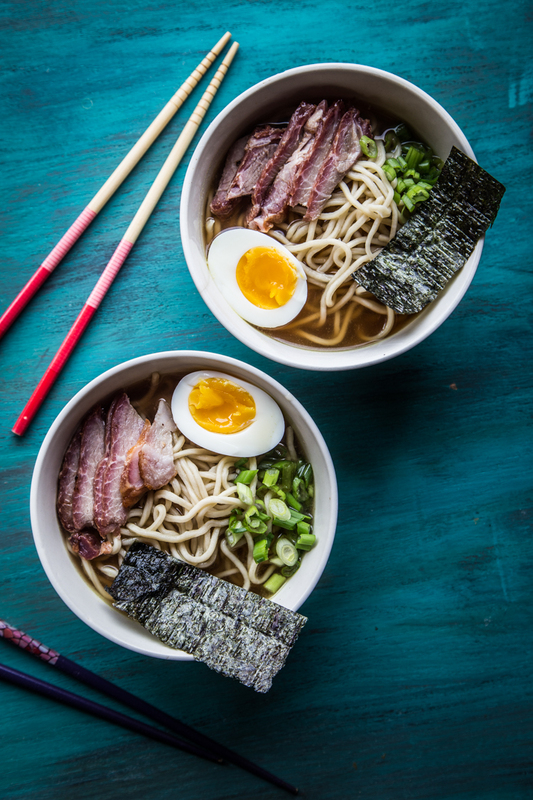 I personally prefer shoyu broth a little more than shio broth. Perhaps because it feels a bit more extra umami somehow. 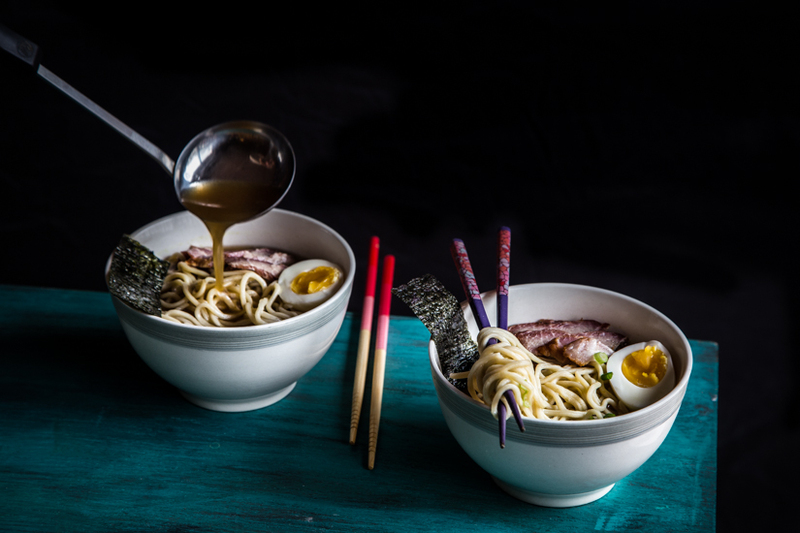 Recipe for shoyu ramen is adapted from Takashi’s Noodles cookbook by Takashi Yagihasi. I will post recipe for the homemade ramen noodle soon.